Of the vast quantities of iconic music from 1980s cinema, Friday 13th sits right as the needle drops. In an era dominated by an increasing reliance on electronic and synthesized music, Harry Manfredini’s 1980 score felt almost tactile. The screech and scrapes of sharp violin bow strokes put you on edge, like you could feel something move across your skin every time you heard one. Today marks the physical release of Friday 13th The Game, a third-person multiplayer survival game where up to eight players are hunted across Camp Crystal Lake by another player who controls the terrifying Jason Voorhees. But he isn’t the only Jason associated with this game. 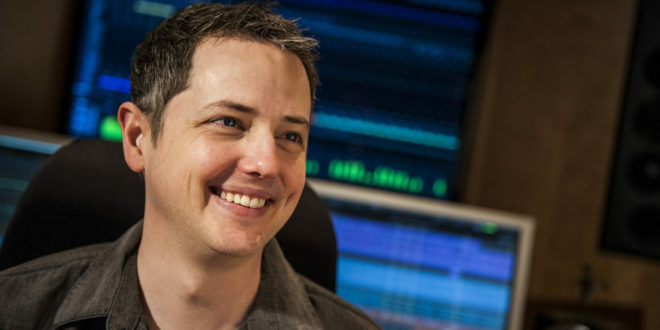 In order to recreate the sounds and scares of the film franchise, developers IllFonic enlisted the help of composer Jason Graves. A composer who has quite the association with the horror genre. "I know my last name played no small part in it once Dead Space was released," says Graves. "It was funny because so many people assumed it was a stage name since it was so perfect for any horror related title." It’s an amusing coincidence given he has composed the scores for all three Dead Space games and Until Dawn. His work stretches across many genres including Far Cry Primal, Evolve and The Order 1886. "But I do really enjoy composing for horror," he admits. "Just like anything else, it’s nice to keep things fresh and change things up. I haven’t done anything horror related in a few years so once I return it will be a welcoming experience." 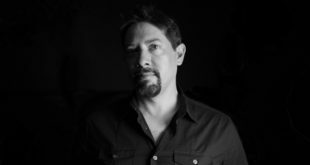 Jason Graves helped contribute musical cues for Friday 13th The Game but, thankfully, he didn’t need the pressure of trying to pay homage or recreate the same feel as Manfredini scored in the movies. That’s because he had the good fortune to work with him on the project. "Harry is such a wonderful composer and gentleman," says Graves. "We had some great conversations over the phone and he was more than gracious and patient with me as I quizzed him on some Friday 13th soundtrack questions that had been on my mind since I first saw the films. Did he actually record the famous ‘Ch, ch, ch’ sounds? Yes, he did. He recorded himself doing it! "So it was very gratifying on a personal and professional level. We also were able to discuss a compositional strategy for making the game feel like you were ‘playing the movie’. I thought it was brilliant to bring him on board and was privileged to be able to do my part in honouring such an amazing franchise." One of the intriguing things about this project for Graves was being able to work on things that he himself had grown to love as a composer and recreate them in the game. "The general kind of ‘Jason stalking’ music was always some of my favourites. It was just so unnerving when combined with his point of view. That was a real treat since the developers were so keen on nailing the whole atmosphere of the films." There is a big difference in creating a horror score for a video game as opposed to a movie. The fear an audience feels in a cinema is in no small part down to the work of the music. While that is true in games, there is so much more going with a player on that just creating atmosphere is not enough, even with loud jump-inducing cues. Especially with the potential repeating of levels. "There’s definitely the interactive aspect of those jump scares or stingers that games require," says Graves. "One of my favourite tricks is to provide many, many versions of a single cue, all very different from each other, which is fairly simple since they are only a few seconds long. 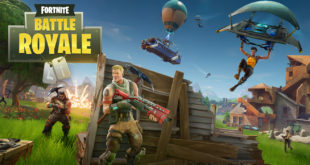 Then I can have those cues randomly play back with the game, so even if you die and play the same scene twice you get a completely different jump scare." Manfredini in his style of composing takes inspiration from many sources. But two of the most well known are opera composer Giacomo Puccini and Igor Stravinsky. Graves approached this project with a lot of those inspirations still intact. "Those are excellent influences," says Graves. "I would have to wholeheartedly agree with Harry and cite Stravinsky. His ballets and string quartets specifically – so many innovative textures and rhythms. The other composer I would have to mention is Krzysztof Penderecki, who quite literally invented most of the textural language our modern ears consider as scary and he is still alive and composing today!"